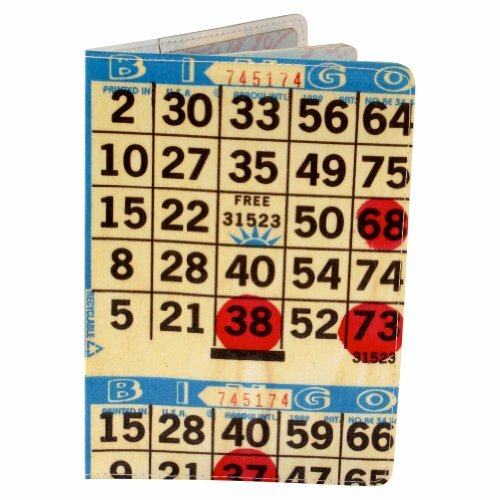 The one and only Bingo Card Passport Cover. Great gift for seniors and anyone else who is awesome and deserving of such a cool gift. Very practical and handy passport holder, holds most passports including U.S. and Mexico (international orders, please check exact dimensions below before purchase.) In addition to your other clothing accessories, luggage & bags make sure you have this as one of your Travel Accessories. 11:11 Passport Wallets allow you to travel in style and make many friends because the cool, rich designs are a great conversation starter. Measures 3.75" x 5.25" when closed, with two clear pockets inside. Handmade in Los Angeles. Safeguards your most precious identity by shielding your information, keeping you secure in public. If you have any questions about this product by 11:11, contact us by completing and submitting the form below. If you are looking for a specif part number, please include it with your message.